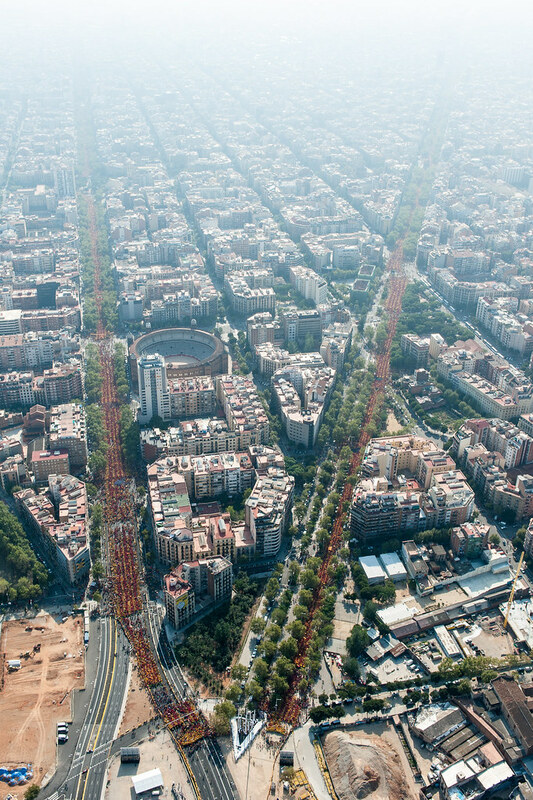 Held two months before the non-binding poll organised by the Catalan government on November 9th, the ANC brought together over a million people in a rally that stretched right along Barcelona’s two biggest avenues, forming a “V”. The V stands for the Catalan Will –voluntat- to find a Way –via- to Vote –votar- on independence. To make things more difficult, all participants wore yellow or red t- shirts and stood perfectly aligned in order to form a 11 kilometre-long Catalan flag. Several V-shape rallies were organised in most world capitals.